The varsity girls basketball team defeated the East Jackson Eagles 42-37 on Friday, Feb. 15, to earn a spot in the GHSA Class AAA Sweet 16. The Knights, energized by significant support from their home fans, jumped out in front of Eagles early in the game. Leading 16-10 at the end of the first quarter, Pace fought off a more aggressive Eagles team in the second and maintained the lead going into the half (28-22). The second half was predominantly a defensive battle with almost even scoring by both teams. As usual, the Knights' defense controlled the boards and made it difficult for the Eagles to get off shots. Senior Kayla Ross led the defensive effort with 13 rebounds and two blocks, while junior Virginia Hobbs had nine rebounds and three steals. Offensively, the Knights were led by senior Ann Rafeedie with 18 points, followed by Hobbs with 12 and senior Madeline Janki with 6. Half of the Knights' total points were 3-pointers scored by Rafeedie (4), Janki (2) and senior Paige Fleming (1). "It was great to see so many of our students and parents come out to cheer us on," said coach Dr. Troy Baker. Unfortunately, the Knights' playoff run came to an end on Feb. 20 when the team fell to the Sonoraville High School Phoenix 61-46. Congratulations on an outstanding season, Knights! The boys basketball team took Hart County down to the wire in the first round of the state playoffs, but unfortunately came up short in a 54-50 loss. The back-and-forth matchup featured key plays that helped the Knights stay in the game and stifled Hart County's offensive approach. The Knights were led by junior George Adams, who got after it on defense with a key steal, a block and 5 points. Junior Madison Durr led the Knights offensively, scoring 22 points and a few clutch free-throws down the stretch. Sophomore Josh Reed poured in 11 points and grabbed two offensive rebounds. Senior Myles Todd, the team's lone senior, also helped the offense by dishing out two key assists. The Knights came out hot in the second half, scoring 17 points and holding Hart County's offense to only 9 points, but the team went cold down the stretch in the fourth quarter. 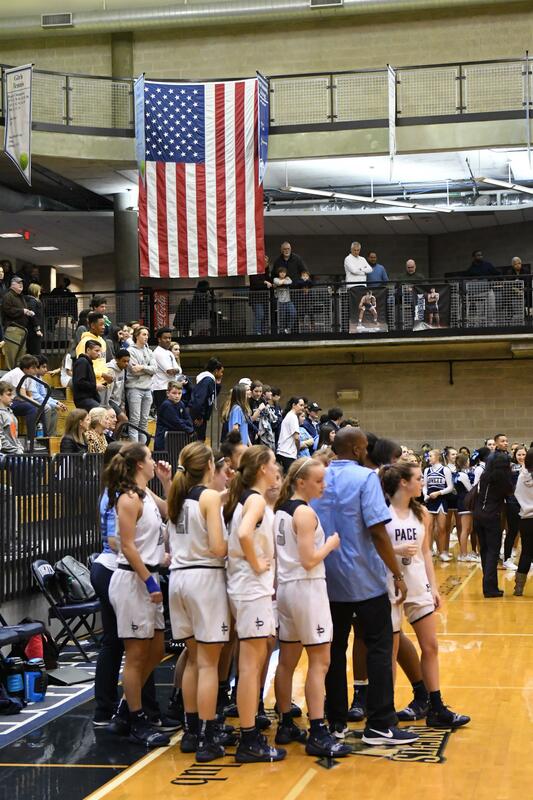 The Knights concluded the season with a record of 20-9, finishing 9-3 in the region and ranked No. 68 in the state. Coach Sharman White is looking ahead to the 2019-2020 season and his second year as head coach. The varsity boys tennis team shook off the winter's rust and defeated Wesleyan 4-1 on Thursday, Feb. 7, sweeping both doubles and No. 2 and No. 3 singles. The tightest match of the day was at No. 1 singles, where senior Will Funston battled more than two hours before eventually falling in the third-set tie-break 11-9. Funston had an outstanding effort against a quality opponent. The Knights' winners were junior Finn LaMastra (No. 2 singles), junior Neil Sashti (No. 3 singles), senior Charlie Hirsch and sophomore Matt Genser (No. 1 doubles), and senior Joe Hirsch and sophomore Jordy Elster (No. 2 doubles). On Thursday, Feb. 14, although many of the games were closely contested, the Knights dropped only one match in route to a 4-1 victory over Marist. At No. 1 singles, Sashti consistently took time from his opponent by hugging the baseline, taking short balls and driving them into the corners. LaMastra overpowered his opponent with penetrating forehands and quick reactions at net. 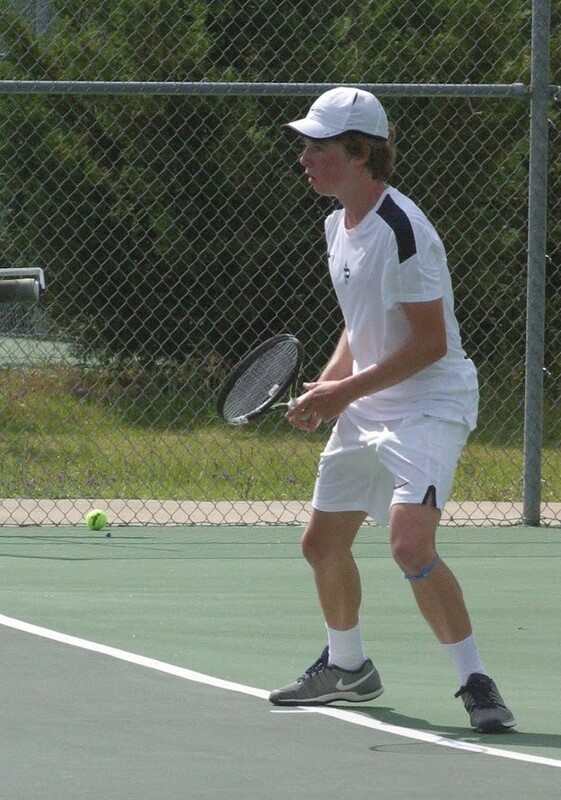 Both doubles teams earned victories with spectacular play. Funston and C. Hirsch's net play and serve game proved to be too solid, and they won in straight sets. Genser and Elster's ground stroke consistency and superior hands at the net helped secure the fourth point. Winning for Pace were Sashti (No. 1 singles), LaMastra (No. 2 singles), C. Hirsch and Funston (No. 1 doubles), and Genser and Elster (No. 2 doubles). The varsity boys soccer team had a jam-packed week with four games over five days. On Tuesday, Feb. 12, the team traveled to Grady High School short-staffed, with several players out due to illness. Grady dominated the first half, yet the Knights were only down 1-0 at halftime. With less than 20 minutes remaining, junior Jesus Tadeo Pineda scored a long-range free kick to equal the score. But the tie was short lived as Grady scored two goals in quick succession. Pineda managed to strike again in the dying minutes of the game to make the score 3-2, but his strike was too little too late. A bright note of the loss was freshman Jeremy Avellaneda's performance; he played with composure and presence far beyond his years. On Thursday, Feb. 14, Pace hosted Towers High School for the team's first region game of the season. 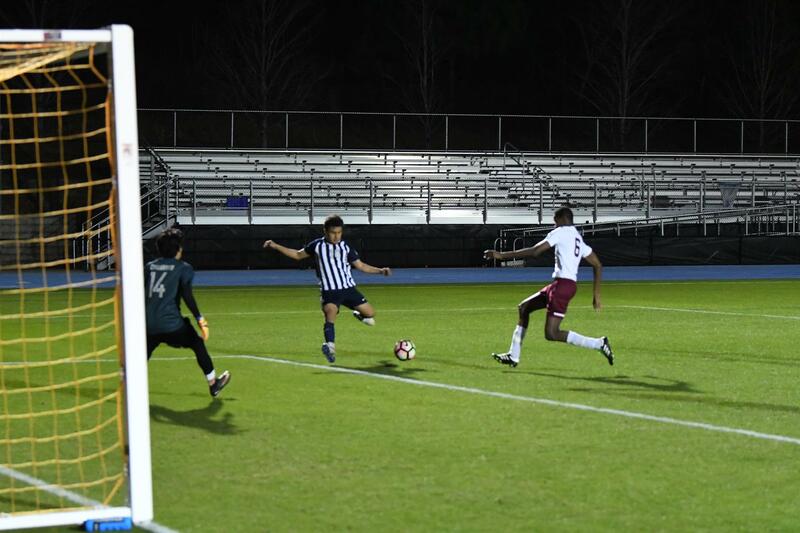 Pineda opened the scoring in the first half with a free kick and managed to slot another goal off an assist by sophomore Anderson Lara, who made a charging run up from his position at left back. Up 2-0 at the start of the second half, the game was interrupted by a sudden blackout of the field lights. Pace players did not let the 20-minute delay disrupt focus as they shut out Towers 2-0. 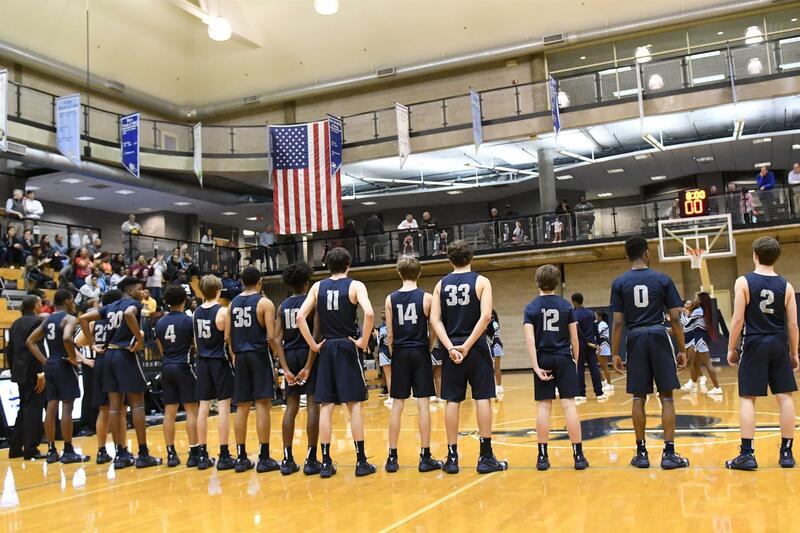 On the next day, Feb. 15, the team traveled to a tournament in Vestavia Hills, Ala., where the Knights faced host Vestavia Hills High School. At halftime, the home team lead 3-0. Pineda claimed a goal off a free kick, and junior Cole Ankenbrandt scored his first of the season off an assist from sophomore Jorge Gonzalez-Hernandez. Pace battled back, but the game ended 4-2 in favor of Vestavia Hills. In the Knights' final game of an exhausting week, Pace squared off against another Alabama team, Huntsville High School, and pulled out a 2-0 victory with goals from Pineda and senior Lawson Stricker, who headed a set-piece cross delivered by freshman Jeffrey Ramos. Senior goalkeeper Colm Pelletier stood strong throughout the game and got the clean sheet. The Knights play region opponent Redan on Thursday, Feb. 21, at 7 p.m. at Pace's Riverview Sports Complex. 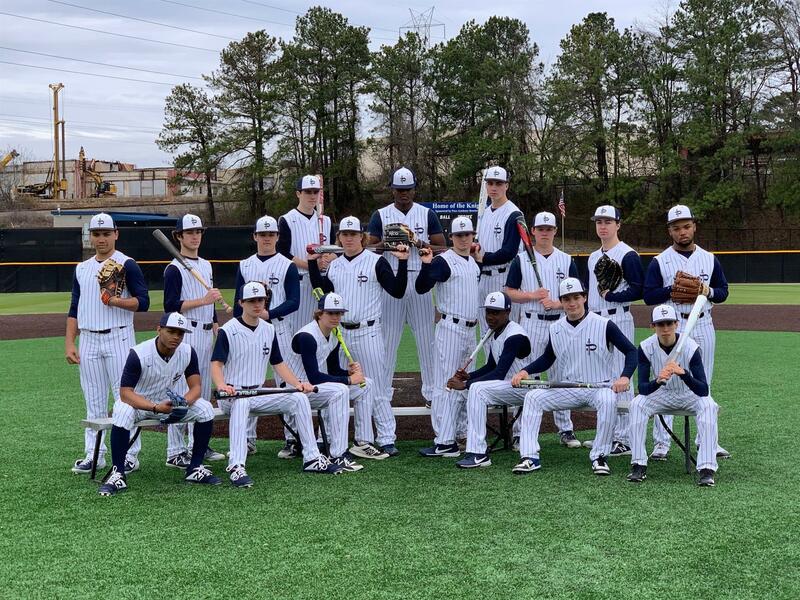 On Feb. 11, the varsity boys baseball team opened the regular season with an impressive win against GAC at Riverview Sports Complex. Senior TJ Rafeedie started and pitched five solid innings, giving up just two hits and striking out six. Senior Darian Howard pitched well in the sixth inning, and senior Andrew Jenkins came in to close it out in the seventh. GAC got on the board in the first inning and scored two runs in the second. As the Knights settled in on defense, their bats got hot. Senior Mitchell O'Berry got the team's first RBI, followed by an RBI for Jenkins and then a three-run homer by Howard to put the Knights in front 5-2 after three innings. Then, in the fourth inning, O'Berry hit an RBI double that brought home sophomore Jayden Thomas, who had walked and stolen second, extending the Knights' lead to 6-2 while also knocking out the Spartans' starting pitcher. GAC hit a two-run homer in the top of the sixth to make it a 6-4 ball game. Then, in the bottom of the sixth, the Knights scored five runs on another RBI double for O'Berry, a two-RBI single for Rafeedie and some heads-up base running to go ahead 11-4. For all the Pace lacrosse fans anxiously awaiting the season, the varsity boys team did not disappoint in the opening week. On Feb. 12, the team welcomed the Kell High School Longhorns to the Riverview Sports Complex, where the Knights emerged victorious 12-8, avenging last season's away loss. The team chemistry heightened throughout the game and really clicked in the second half as the new offense began to meld and build confidence in each other. The stout defense and goalie play throughout was as expected with the return of last year's starters. The team welcomed back senior Charlie Warren, fresh off the wrestling mats, who started the game with a faceoff win and an immediate goal seconds into the start of the new season. The starting attack benefited from a strong pre-season and notched eight of the 12 goals, which was amazing considering these student-athletes are all starting at varsity attack for the very first time. 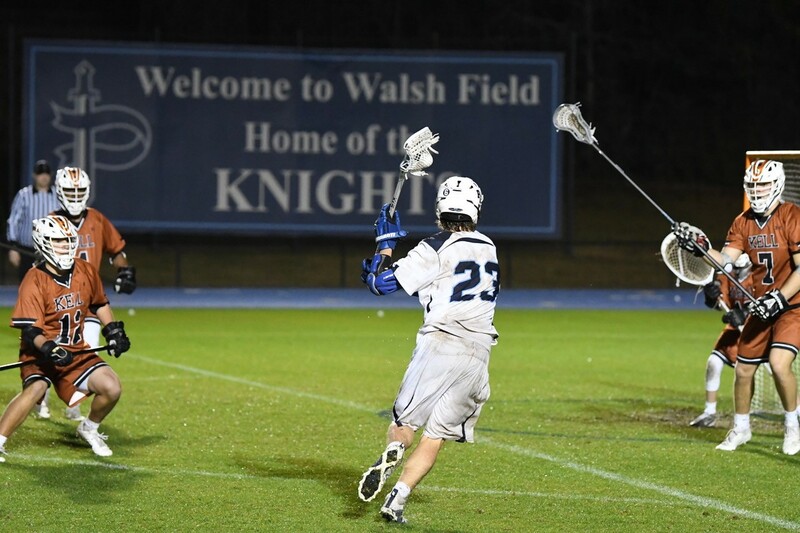 Sophomore Steven Morrisroe notched four goals from his left attack position; freshman Matthew Mathias stepped directly into his graduated brother's x-attack position with two goals and two assists; and sophomore Evan Karetsos turned in his goalie stick and long pole to deliver two goals and one assist with his new short stick from the right attack position. Sophomores Bennett Boushka and Tripp Trimble each added a goal with a shorty and long pole, respectively. Senior Patrick Thurman punched in a timely goal from the midfield position to round out the scoring. Senior defensemen Sam Assaf and Andrew Konradt led a high-intensity slide package and a barrage of stick checks aimed at disrupting the Longhorns' offense, and senior goalie Kirk Spinelli made great saves throughout the game. This past weekend, four members of the varsity boys track squad took on cold, windy conditions at the Marietta Distance Carnival. They all came away with personal records, which made enduring the weather worth it. Out of 145 competitors, freshman Edward Blaha was seventh overall in a time of 4:42. First-year runner junior Quill Healey was 20th in 4:56; freshman Robert Mallis was 22nd in 4:58; and first-year runner Sam Webb was 53rd in 5:15.